All Rights Reserved ©Cosmos International University. Cosmos International University is a uniquely prestigious and heuristic research institute, which is one of the branches of Christian Development International Ministry. It is a non-profit, non-governmental, charitable, educational, and organizational institute amalgamated with some trustable and prodigiously habilitated international men and women. It's been professedly instituted since the year 1999 in Bangkok. Because of the ingeniously copacetic education we offer, Cosmos International University becomes the world's first incorporated organizational university which is spontaneously recognized by universities, international schools and research institutes around the world. Cosmos International University was established on the basis of freedom, human rights, knowledge, wisdom, truth, love and philosophy, and it is authorized to confer Master's and Doctorate degrees to intellectually capacitated and qualified individuals regardless of race, gender, nationality, skin color, religion and country of origin. No undergraduate degree courses is offered by the university. Therefore, heuristically earned undergraduate and master's degrees from other universities or colleges shall be required to apply for admission. Admission decision will be made only on the basis of the applicant's individual skills, level of education, knowledge, capability, potentiality and ability , and it is not going to be based on applicant's examination score, TOEFL score, IELTS score or alma maters whether he or she studied at accredited university or private owned non accreditation university though it might help getting the drop on. The demand of qualification and standard is not just passing a set of examination but our requirement is much more than such a procrustean standard. There is no partiality in giving admission to anyone whether the applicant is a native English speaker or a non native English speaker. All successful applicants shall be listed in this organization web page, otherwise the application is considered unsuccessful. 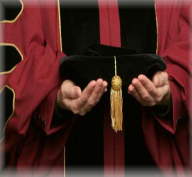 All recipients of Cosmos International University diplomas of Doctorate and Master degrees shall be recorded inside the web pages of ciuac.org, otherwise, it will be automatically treated as bogus ones, and are invalid. If you have any doubt about a diploma of Cosmos International University, contact info@ciuac.org for elucidation. Any one who has genuine interest in Cosmos International University's heuristic educational organization may obtain membership at free of cost. He or she should contact the director via email with a passport size photo. The person who is certified by the university is voluntarily recognized worldwide. Cosmos International University's graduates can get jobs of life-time employment in different parts of the world. It has been existing since the incipiency of human being and came into exist visibly as an organization in 1999. It has got a record on the internet in 2006 and will keep on existing till human race ceases to live in the universe.